We are looking for an experienced Project Manager to join our team in support of our DHS client. 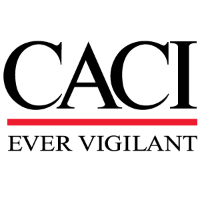 CACI is responsible for the continuous (24 hours, 365 days a year) monitoring, analysis, restoration, troubleshooting, escalation, coordination, and reporting of all operational information concerning the client infrastructure. An active secret clearance is required. Must be able to obtain an EOD clearance. The successful candidate will manage the lifecycle for IT products and services and Tier 1 activities in accordance with project management principles and industry best practices. This position is responsible for the development and documentation of requirements, project plans, project cost analysis, tracking schedules, program and project cost, schedule and technical performance, risk registers, and mitigation strategies. The project manager will provide timely and detailed visibility into project status and performance, including budget and cost details and managing planning and communications with stakeholders to include engineers, data centers, component representatives, governmental organizations and non-governmental organizations involved with network change requests and projects. with more than 1,000 sites throughout the continental US, OCONUS and international locations. Planned transition to newer architectures including use of software defined networks, cloud services, advanced monitoring, etc. Facilitated extranet connections to other entities (such as federal, state, local and tribal agencies, as well as non-governmental organizations and private industry). which manage more than 50 critical applications, with very critical response times to address real-time technical issues.